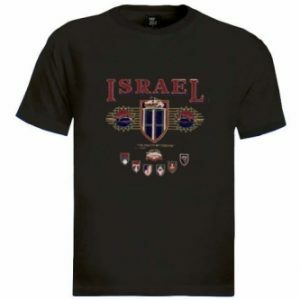 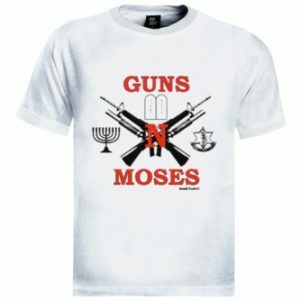 This high-quality cotton t-shirt features a beatiful image that intertwines the Star of David with a dove. The caption says in cool print : “Peace and hope on Israel”. 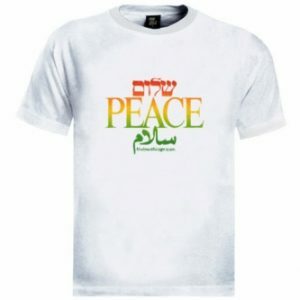 The unique and witty caption that goes with the image says in Hebrew: “If there’s peace, there’s hope, and that’s the point”. 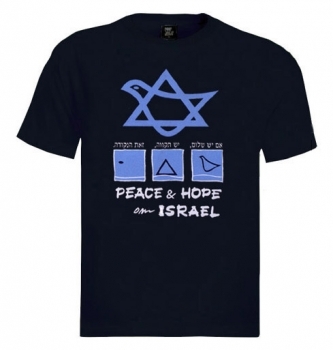 Een T-shirt van een hoge kwaliteit katoen met een zeldzame en gave opdruk: “Peace and hope on Israel”. 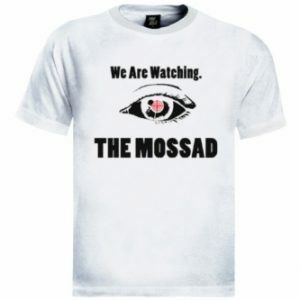 In het Hebreeuws staat er “Zolang er vrede is, is er hoop, en daar gaat het om”.